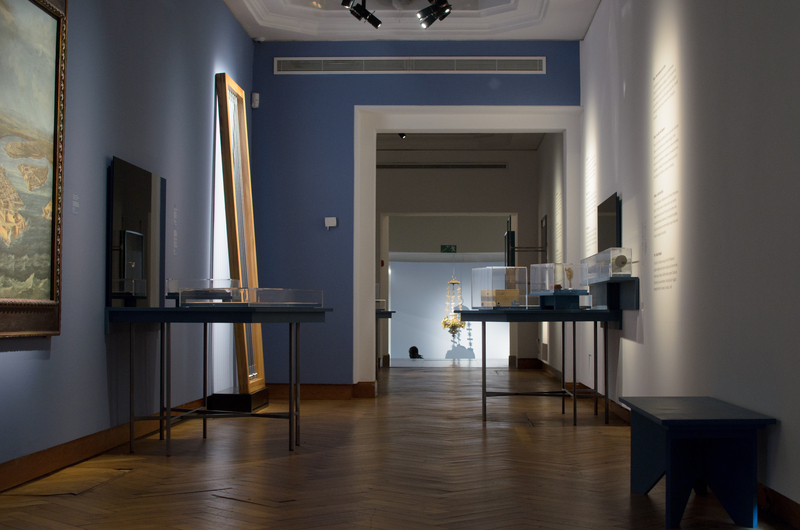 Situated in the Belgian Centre for Fine Arts BOZAR, the exhibition ‘Malta. 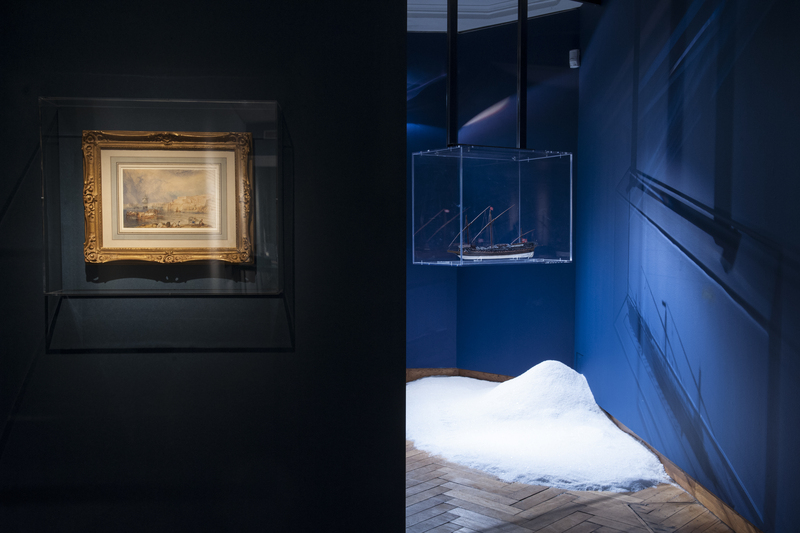 Land of Sea’ presents the country as an age-old crossroad and interprets the cultural landscape as a space of land and sea. 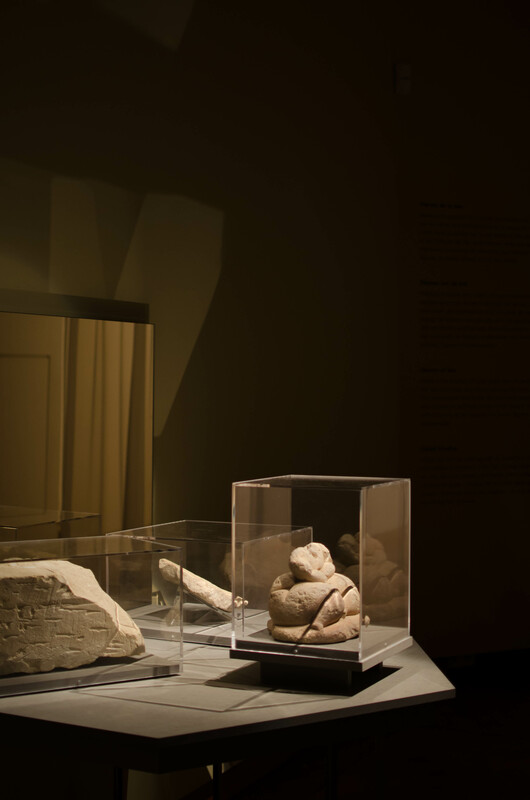 AP Valletta designed an exhibition experience that brought together close to seventy extraordinary objects, from prehistoric times until today, including installations by contemporary artists. 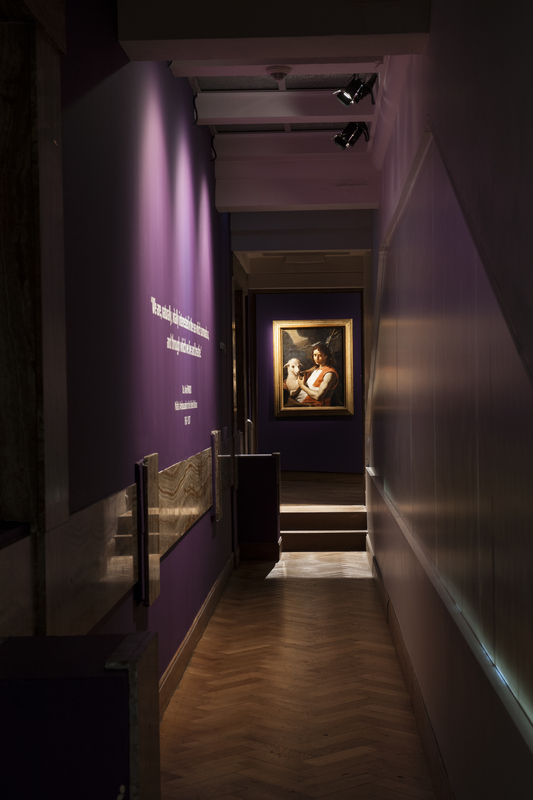 To create a unique exhibition experience, the existing corridor-like spaces were transformed into a passageway of curiosities. 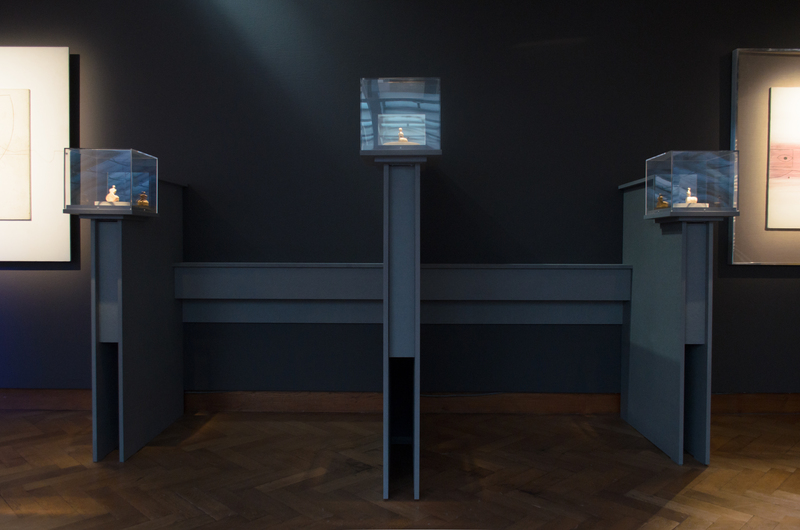 Specific architectural elements were designed to support the curator’s re-engineered chronology, to dislocate and reconnect heritage objects with purposely commissioned interactive sound and text installations. 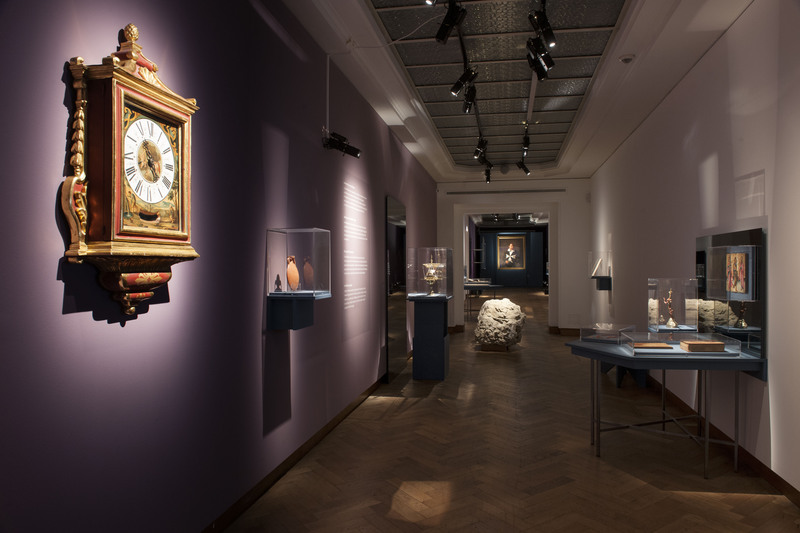 The octagonal exhibition tables and the mirrors provide visitors with multiple viewpoints and connections between objects, allowing the shifting compositions to stand for new stories and connect to the present in a variety of ways. 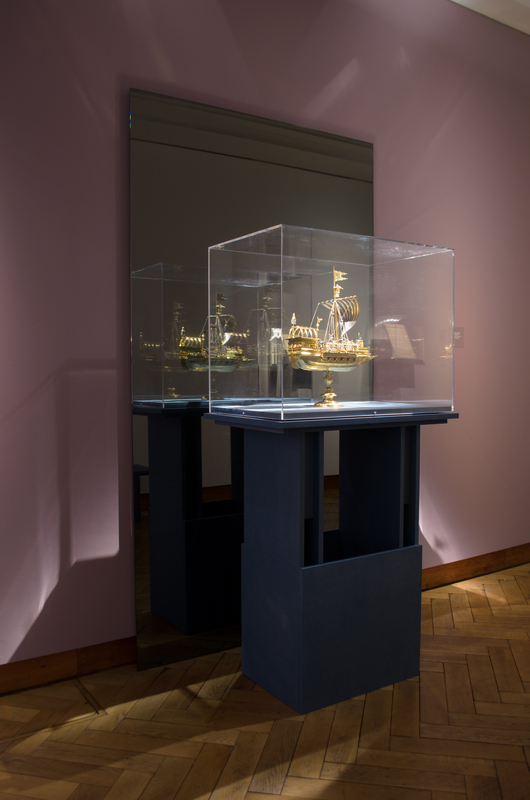 For the tables, a steel structure was designed that echoes the shape and lines found in the exhibited old portolan charts and navigational maps. 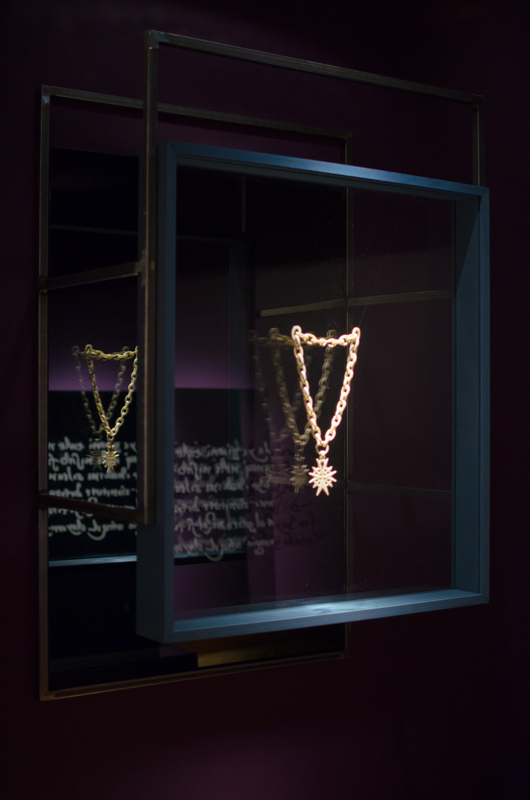 Individual consideration was given to the prehistoric and historic necklaces by means of floating frames that invite visitors to visually ‘wear’ these unique objects from ancient times while indulging in the illusion given by the reflection in the mirrored panels. 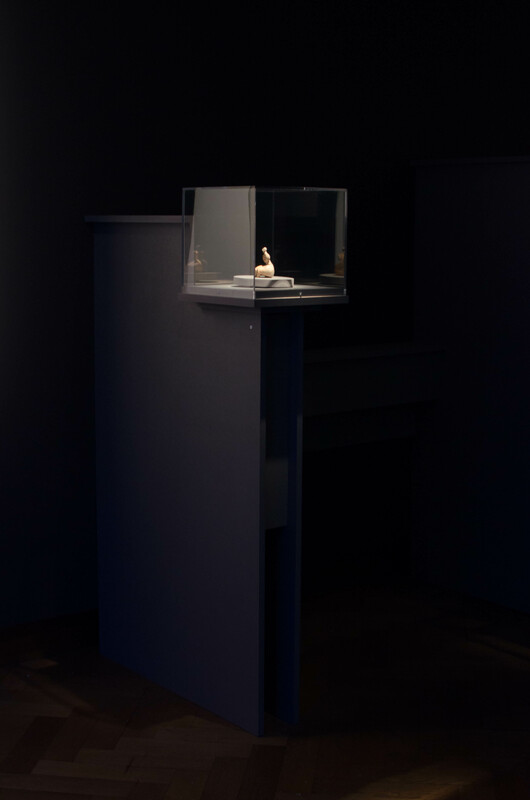 Rotating platforms protruding to the center of the room offer a completely new perspective on the mesmerizing seated prehistoric figurines and emphasize their ritual connotation. 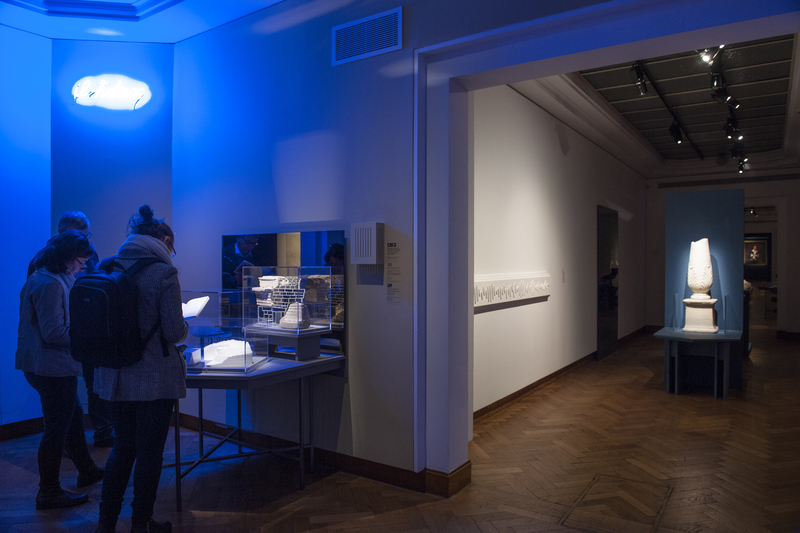 The rich use of carefully composed colors and sensuously subdued lights enhance the spatial perception of the experience and express both the physical dislocations and visual connections between chapters, rooms and exhibits. ‘Malta. 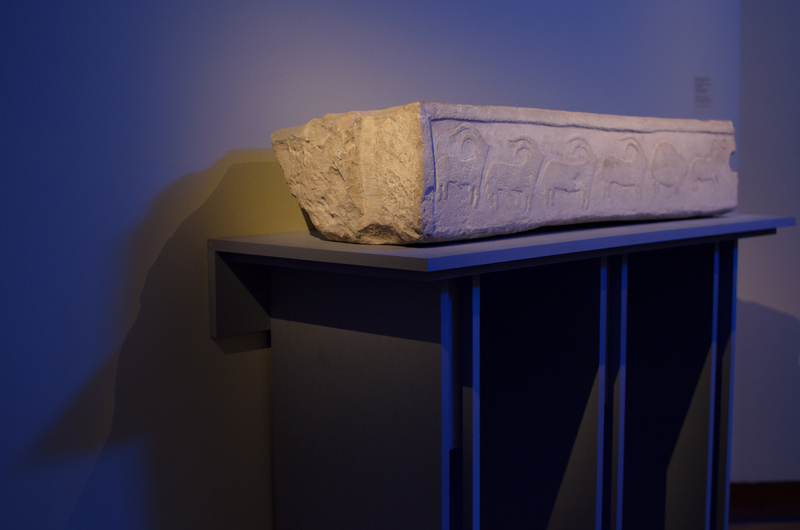 Land of Sea’ enables the visitors to experience in first person that there are no fixed boundaries on this island.